Highly ornamental tree for smaller spaces. 'Candymint' bears profuse amounts of carmine buds that open to bright pink blossoms. The foliage has a purple tinge and darkens to bronze in autumn. 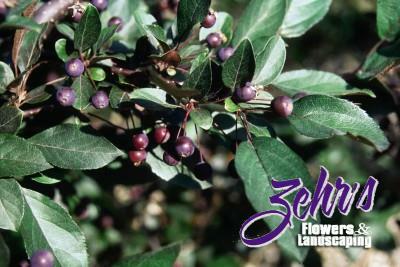 The fruits are persistent and ripen to deep purple. The bark is red-orange resembling that of a cherry. Shows good disease resistance.